Many players in poker live on to play even in their eighties while some; lose out earlier in the playing field of life. 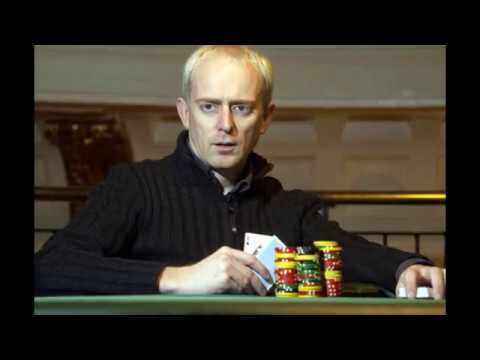 Dave Colclough aka El Blondie was known for his poker playing skills in the gaming arena. He had however been battling cancer for some time now. The world lost him on October 18th at 52 years of age. He had been a regular player and came on shows like Late Night Poker. Being a popular figure in the gaming circles in the UK he has been known to compete with professional players like Ross Boatman, Barny, Surinder Sunar, Simon Trumper and others. He was originally from Wales, Carmarthen and has been a computer programmer. He then took to playing poker full time. His first cash victory was in February 1995. At that time he finished in the eighth position in Pot Limit Hold’em tournament in London for an amount of £350. He has been on a roll since then and taken part in several live tournaments. Having amassed enough wealth through these games he was known to hold the second position in Wales when it came to the money list in the region. Hence, in his absence there is much mourning among the fellow players in the poker community in the UK. Dave will be missed by his poker community as his fellow players’ state that he had a lot of skills for the game and could be looked up to. He would play well and brought in good challenges to the game. Most players who heard about his demise stated about the man and his genial nature. At the end that is what most likes to be remembered by rather than the amount of wealth or success they might have amassed over the years. Many poker forums and shows are carrying the news out of his absence. ← Russia to legalize poker?